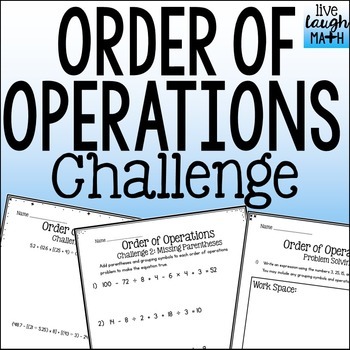 Keep your gifted and higher level students challenged with Three Order of Operations Challenge Worksheets & One Higher-Level Problem Solving Activity. Great for differentiation! 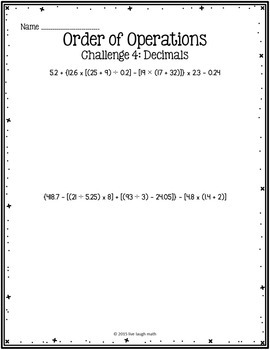 Also included in the Order of Operations Bundle. BEST DEAL!